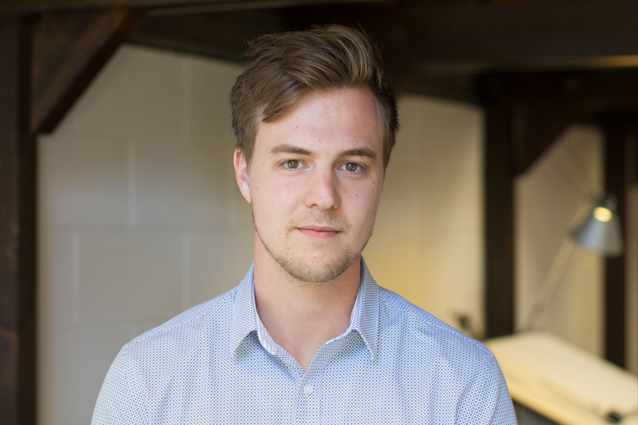 I am very pleased to welcome Corin Anderson to the studio as our new Architectural Technician. Corin is Ngai Tahu; he grew up in Dunedin and Queenstown, and trained at Otago Polytechnic, graduating as an Architectural Technician. He has worked in Christchurch for several years gaining experience in construction and architecture, and contributing to the rebuild. He finds working in Christchurch challenging but fulfilling. He particularly enjoys the relationships he’s built within the construction industry. His ambition is to become an architect; applying his talents in a design-focused practice is an essential step toward that goal. Corin arrived in the studio mid-February, bringing with him a desire to refine and craft architectural detail and contribute to the success of projects, which aligns with our aim to think hard about space, and love the potential of architecture. 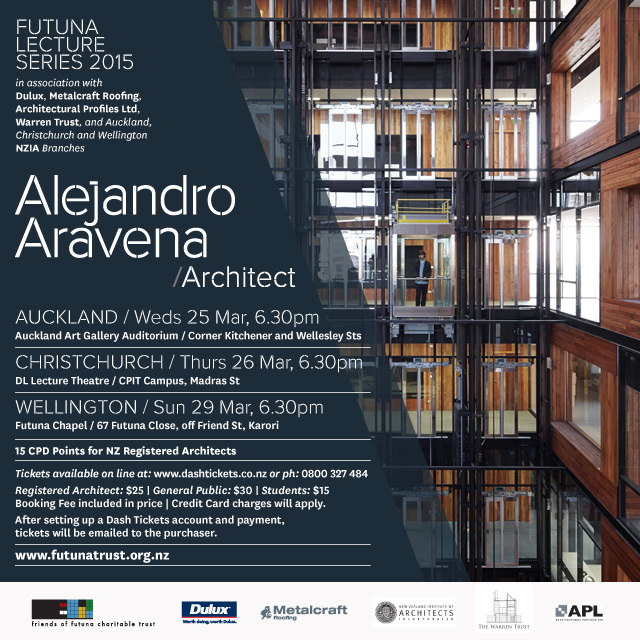 In the latest Futuna Lecture Series, Chilean architect Alejandro Aravena will be giving three public lectures in New Zealand (Auckland, Christchurch and Wellington) this month, speaking about his work and the philosophy that underpins his architectural practice. Aravena has practiced in Santiago, Chile since 1994. ELEMENTAL, his practice, is a “do-tank” that, in partnership with the Chilean Oil Company COPEC and Pontificia Universidad Católica de Chile, develops housing and infrastructural projects with public interest and social impact. He is internationally admired for his work with ‘incremental’ housing. As well as having a strong social focus, his architecture has been described as essential and rigorous in the way real materials are used. “Exposed concrete, wood, glass, steel, masonry, copper and stone are composed, coupled, and superimposed, achieving aesthetic, functional and formal solutions that are strongly original”. The Futuna Series focuses on international architects who have built a strong design reputation in architecture and urbanism. Last year, Niall McLaughlin’s lecture was inspiring. Aravena is bound to lift the bar with material just as topical, especially in his approach to social housing. This year I have been appointed Convenor of the NZIA Local Awards for Canterbury. The jury comprises three architects and an engineer: Stuart Gardyne, Justin Leadbetter, Maria Chen and Helen Trappitt. It will be fascinating to view the work that has been done in Canterbury over the past year, and how well the new buildings are re-shaping the new city of Christchurch.